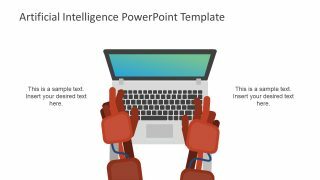 The Artificial Intelligence PowerPoint Template has an awesome range of slides to define the intelligence of mechanical engineering. 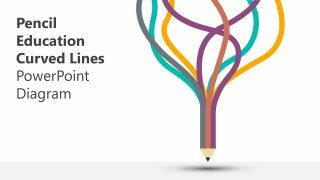 The brilliant design layout creates a powerful presentation demonstrating advancement in different fields of life. Although, the industries such as medical, aviation, finance and computer programming implement artificial intelligence to avoid chance of human error. 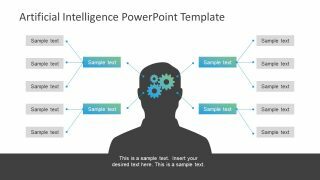 This PowerPoint can create many useful presentations such as, visual perception, speech recognition and decision making. 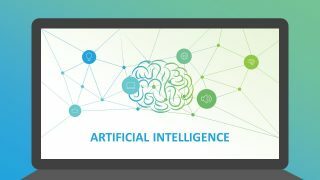 Artificially intelligent machines are capable of imitate human behavior to learn and solve problems. Thus, the electronic devices today are programmed to make optimal decisions, biometric recognition, predictive writing in phones etc. 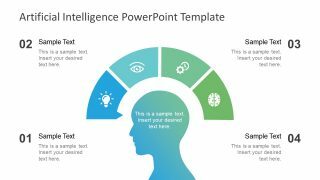 Moreover, showcase these slides to colleagues and teammates to educate about solving difficult problems using intelligent tools. 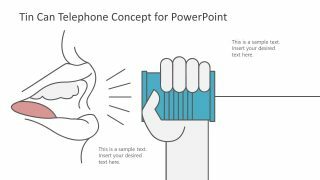 The use of innovative illustrations helps visualize idea of intelligent program or application. 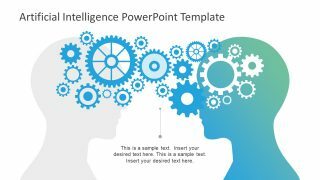 The creative slides of Artificial Intelligence PowerPoint Template various concepts related to the vast subject of AI. For example, the main slide shows a laptop computer screen displaying an abstract brain design and web of connecting nodes. It is a metaphor for a thinking process and small circular icons represent activities. These include light bulb for thinking, gear for planning, brain for memory, speaker for hearing, cloud for saving data, computer for processing. 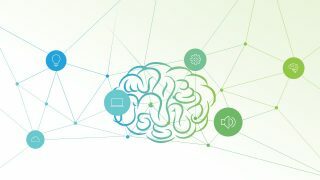 The use of such icons indicate how human brain is connects to the functions of computers. The slides of human head silhouette can present multiple decision-making scenarios. Additionally, robot hand illustration gives the idea of automation in operations. Whereas, the flat design infographic icon can display IT functions and services. 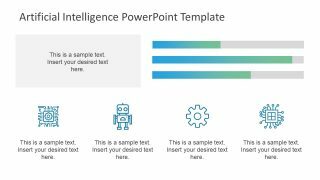 The PowerPoint template of Artificial intelligence is a 100% editable presentation. 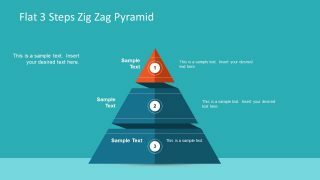 The users can use selective slides in other presentations for more interactive and engaging look. 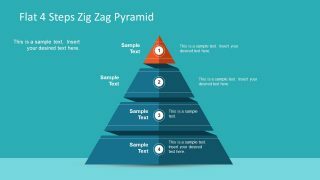 Besides that, customize the overall appearance of PowerPoint by changing colors, size and moving its elements. For instance, change the theme of template from blue-green to yellow-orange. To do so, go to the design menu and select color palette from variant color dropdown menu. 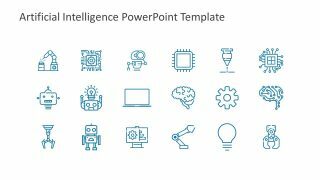 The slide of 18 useful icons enables users to copy necessary shapes of PowerPoint in their technology related presentations.